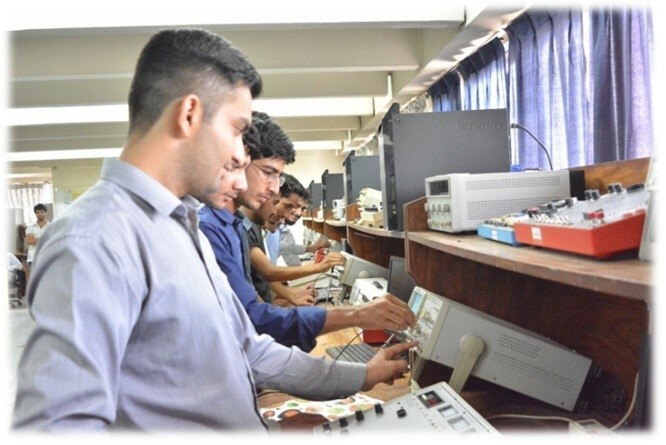 Basic Electronics & Digital Systems lab is used to conduct a wide range of experiments in electrical engineering, such as diode circuits, power supplies, analysis and design of BJT and MOSFET amplifiers, operational amplifier circuits, power amplifiers, frequency analysis, oscillator circuits, active filters, digital and timing circuits, A/D and D/A conversion circuits, Digital circuits, Microprocessors and microcontrollers and Digital system design. In addition to the daily scheduled undergraduate laboratories, this lab is also used to train engineers and technicians on fundamentals as well as advanced electronic circuits and applications. 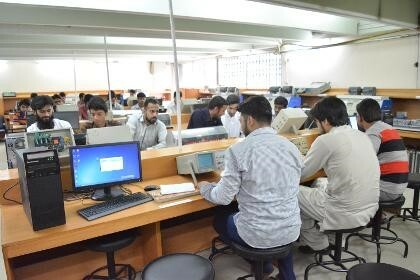 This Lab is a general lab that is used for practical work of all basic courses related to Electrical and Electronic circuits and Digital Electronics. Students get to use function signal generators and oscilloscopes. Students perform practical on lab trainers. Additionally this basic equipment some highly sophisticated devices are also available for convenience of students, such as IC testers, LCR meters, Electric Circuit Lab Training system (KL-100) and Basic Electronics Trainers (ED-1010). It is used for teaching basic concepts of engineering circuit analysis, as well as to illustrate and reinforce these concepts and provide hands-on experience to our students. Digital logic design, digital system design and microprocessor are core of modern embedded systems. 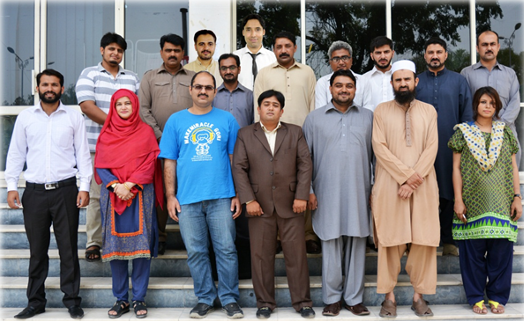 The lab is also equipped with modern and sophisticated equipment like Spartan FPGA training kits, Microcomputer Trainers (MTS-51), DSP kits, all sorts of program burning capabilities and interfacing with real world equipment. Control System and Machine Lab is state of the art lab equipment with programmable logic controllers with additional modules, DC motor and generator set, synchronous AC Motor and AC Generator training systems, 3 phase transformers, DC servo trainers, Sensing control trainers, Power electronic trainers and Tachometers. 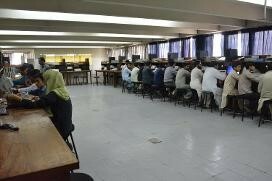 The lab is used primarily for teaching electrical machines, power electronics, industrial electronics and Control system. This laboratory is used for introducing the fundamentals of various analog and digital control systems. 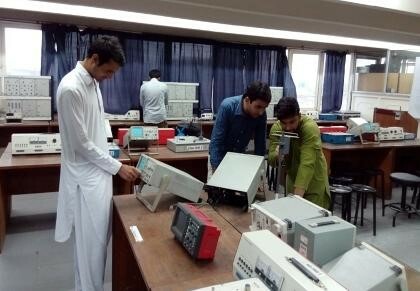 Keeping in mind the versatility of the field of communication and the introduction of optical systems in this field, the department has designed a lab specially to introduce students to this field. This lab has special trainers for both Radio Frequency and Optical Communication. The lab is equipped with Antenna trainer, microwave trainer, optoelectronic trainer, Transmission Line trainer, Telecommunication Trainer and LAN trainer. Students in the last year of engineering program are required to complete a six credit hour final year project. 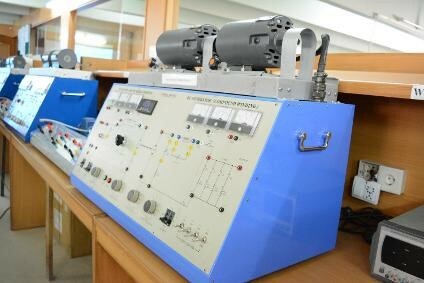 In order to fulfil this requirement, there is dedicated project lab equipped with Function Signal Generators, Digital Storage Oscilloscope, DC variable Power Supplies, Spectrum analyzers, power quality analyzer and computers. Engineering workshop provide students with hands-on experiences in electrical and mechanical engineering design activities for electrical engineering. The lab is equipped with Lathe Machine, earth electrode resistance and soil resistivity testers, Multi-Angle Swivel action Vacu-vise, Cordless Drill, Grinder Sets, Digital calipers, Heavy duty file sets, Magnetizer/Demagnetizers, soldering stations, professional tool kits, DC variable power supplies, Electric Circuit Lab Training system (KL-100), computers, Digital oscilloscope, different cutting tools. 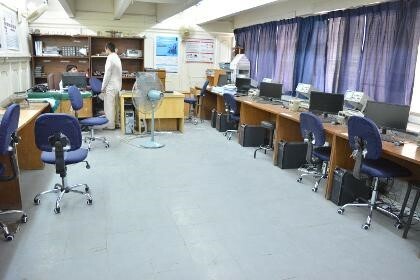 The lab has 40 computers installed with latest programming software and electrical engineering simulators. The facility of high speed internet is available which is used by the students to prepare their assignments and semester projects. These computers have access to IEEE digital library.